The Commonwealth War Graves Commission (CWGC) is holding its main centenary commemoration at a service in London on Tuesday 23 May. The service, where representatives of all the CWGC’s member states will be present, including South Africa, will be held at the iconic Westminster Abbey. One of the first speakers will be the deputy manager of the Commission’s agency in South Africa, Joey Monareng. Other centenary events will include an ‘artisan garden’ at the Chelsea Flower Show in London until the end of May; a gardening event to be built by veterans with Post Traumatic Stress Disorder (PTSD) in Scotland from 2-4 June; and the sponsoring of two rugby international events as the official charity of the Rugby Football Union. The CWGC will also organise a worldwide commemorative event for Remembrance Day in November. A new exhibition, titled For Then, For Now, Forever, which has opened in the largest CWGC cemetery in the UK at Brookwood in Surrey, is expected to travel around the Commonwealth, including South Africa. The CWGC’s Director General, Victoria Wallace, said given the passage of time since the two World Wars and fact that there are no survivors from the Great War (WWI) and only a handful from WW II, it doesn’t mean we should neglect these sites. She said these soldiers gave their lives for their countries and it would be terrible if their memories were dishonoured. To avoid this, the CWGC has some 900 gardeners, stonemasons, engravers and blacksmiths who keep the grounds for the 1.7 million servicemen and women who died in the two World Wars. They look after the 1.1 million headstones in the cemeteries as well as the memorials for the 700 000 whose bodies were never recovered. 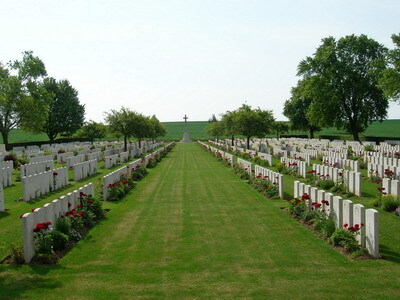 The CWGC maintains more than 23 000 cemeteries and memorials situated in more than 150 countries. There are 21 418 South African Commonwealth war graves worldwide, from El Alamein in Egypt, to Budapest in Hungary. The CWGC lists 8 440 casualties in South Africa and looks after graves in South Africa and Namibia. It also tends the graves of British casualties of the Boer War, although this is outside its main ambit. Some Commonwealth War Graves cemeteries in South Africa include Potchefstroom Military Cemetery, Hamilton War Cemetery in Bloemfontein and the Dido Valley Naval Cemetery in Simon’s Town.